The CivilServant project supports online communities to run their own experiments on the effects of moderation practices on antisocial behavior, harassment, discrimination, and community well-being online. All results are published to an open repository of collective knowledge on practices that contribute to fair, flourishing social life online. 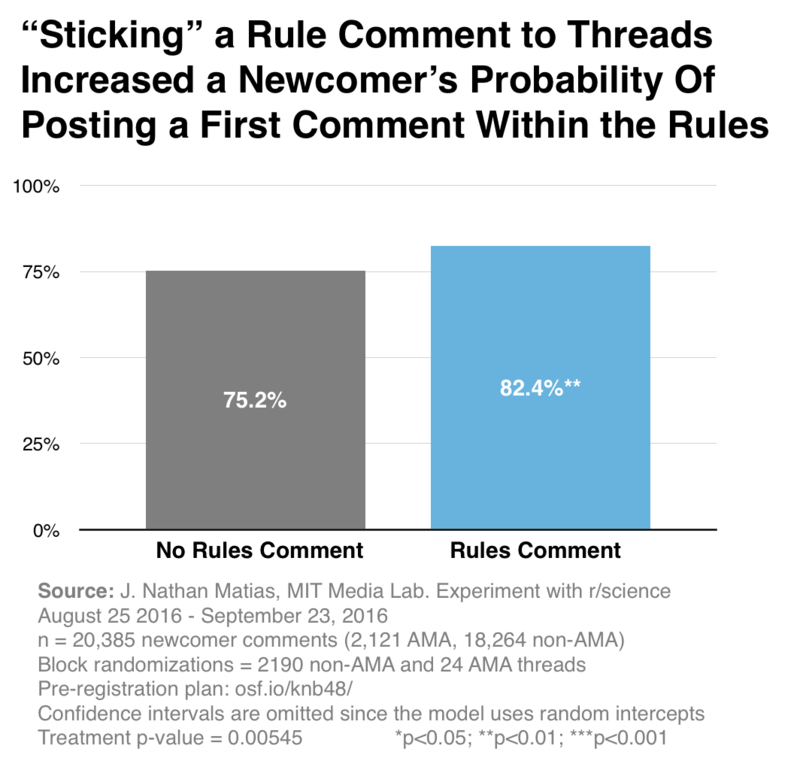 The first experiment, in a 13.2 million subscriber community, showed that posting rules at the top of conversations prevents problems and increases engagement.